Gov. 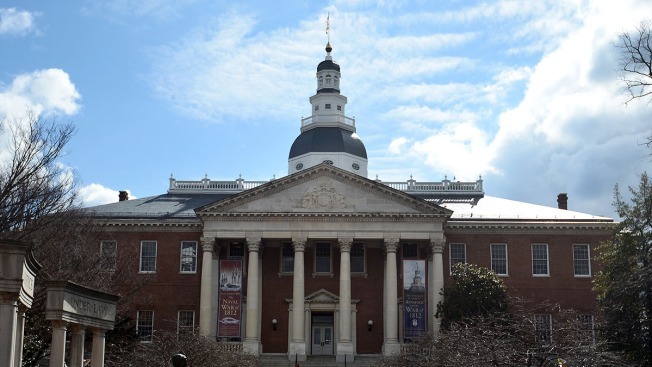 Larry Hogan said the Maryland State House was saved from a lightning strike "by a 208-year-old original Ben Franklin lightning rod." The nation's oldest State House was hit by lightning Friday evening, triggering a sprinkler system in its historic dome. Fire officials said there was no smoke or fire in the building, and no one was injured. The Republican governor said in a Facebook post Saturday morning that the lightning rod on the dome "was constructed and grounded to Franklin's exact specifications." He said at the time it was added to the building, it served as "a powerful symbol of the independence and ingenuity of our young nation." Hogan said in an earlier Facebook post that he ran across the street from the governor's mansion after the lightning strike.